Conscious dreaming is a state in which the dreamer is aware of the dream. Consciousness in the dream state is a paradox; but many have had this experience, or at least the illusion of conscious dreams. In some cases, the dream experiences can interrupt sleeping patterns. Conscious dreaming is also called "lucid dreaming", a term coined by Frederik van Eeden a Dutch psychiatrist (1860-1932). Many people have had the experience of being aware that they are dreaming. This condition may appear to be quite straightforward; but, when it comes to dream research and neuroscience, it can become very complex, even in defining conscious dreams. Dream-initiated - The dreamer becomes aware that he is dreaming during a normal dream. Wake-initiated - The dreamer moves from a wakeful state to a dream state without losing consciousness. Mnemonic-initiated - The dreamer decides to become aware of her dreams before going to sleep. Spontaneous - The state of lucid dreaming occurs without any discernable triggers. You may recall having dreams in which you become aware that the events are not really happening but you continue to dream. Can this make it possible for a dream to yield to your control? The Lucidity Institute notes that dream control and conscious dreaming are not synonymous. You may be able to have control over your dreams without being aware that you are dreaming. In addition, you may not be able to control your dream although you are aware that you are dreaming. The connection between lucid dreaming and dream control is the possibility of controlling what you dream may increase as you become aware of the dream. The process involves recognizing signs that you are dreaming ("dreamsigns"), among other techniques. While the possibility of controlling dreams is intriguing, are conscious dreams supported by science? Can Dreams Be Scientifically Researched? Owen Flanagan writes in his book Dreaming Souls that his theory about dreaming is "neurophilosophical." Merging science and philosophy on a topic like dreaming is challenging. Flanagan discusses phenomenology, which is the study of perception. No matter what, a dream is subject to the dreamer's point of view. The challenge in researching conscious dreaming is the very nature of dreams; they are subjective and not concordant with scientific research. Conscious dreaming may merely be a matter of interpretation. But does this mean that it can't be explored in scientific studies? Dreams are fleeting and seemingly impossible to examine other than through physiological responses and REM measurements. The article "Conscience Dreams" by Chandra Shekhar delves into the topic of neuroscience and the possibility of consciously dreaming. Among the elements mentioned is the state of hypnagogia. 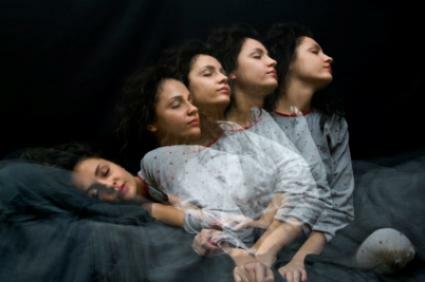 Conscious dreams may occur during hypnagogia, a state between sleep and wakefulness. This murky state of consciousness is of great interest when dealing with the ability to be conscious of dreams. A study from the Institute of Behavioural Sciences in Semmelweis University explores the similarities between electroencephalogram readings during REM and the wakefulness-sleep transition phase. The findings are in agreement with the "covert-rapid eye movement (REM) sleep hypothesis of dreaming" that vivid dream-images may occur as a person initially falls asleep. While the notion of conscious dreams may seem innocuous, it can interfere with sleep patterns. In some cases, a person may try to fall back into a dream state in order to recapture the experience. In others, the dreamer may stay awake in order to avoid a disturbing lucid dream. In either situation, the dreams interfere with the ability to get proper rest, whether it is too much sleep or too little.